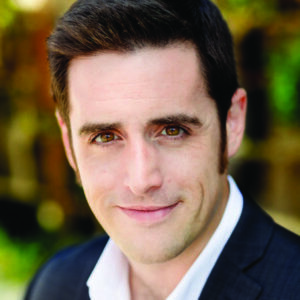 Praised for his “rich, powerful voice” and “bravura-filled stage presence,” Neal Ferreira is a promising lyric tenor with a handsome, masculine tone quality to which he brings a cultivated vocalism and eloquent expression. Most recently he made his Boston Symphony Orchestra and Symphony Hall debut as Ein Tierhändler in Der Rosenkavalier under the baton of Maestro Andris Nelsons. Last season Mr. Ferreira performed the role of the Visitor in Boston Lyric Opera’s production of Philip Glass’ In the Penal Colony at the Cyclorama, for which the Wall Street Journal called him “poignant” and the Boston Globe lauded his “firm yet sweet tenor.” In the spring of 2015 he debuted the role of Ferdinand in the world premiere performance of Joseph Summer’s The Tempest with the Shakespeare Concerts, and he can be heard on the original cast recording recently released on Albany Records. He has also appeared with Florida Grand Opera, the Glimmerglass Festival, Opera Colorado, Virginia Opera, Anchorage Opera, Opera Boston, American Repertory Theatre, Guerilla Opera, and Emmanuel Music.